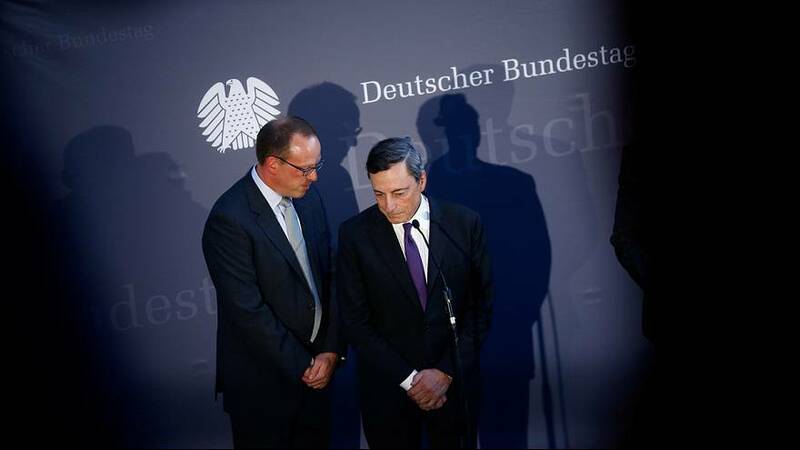 Grilled by German lawmakers, European Central Bank President Mario Draghi has been defending its ultra low interest rates and other stimulus measures, which he said were a necessity. Answering questions from the Bundestag’s European Affairs committee on Wednesday, he rejected claims that the ECB’s monetary policy was undermining eurozone growth, German bank profits and even fuelling the rise of right-wing populists. Draghi denied that ECB policy is to blame for Deutsche Bank’s problems but declined to comment on whether the state should step in to help it. “What we need now is to allow our measures to develop their full impact,” he added. Drahgi pointed out that the German government alone had saved 28 billion euros last year through lower than expected interest payments. “In fact, evidence shows that between 2008 and 2015 interest payments by households in Germany, as a percentage of gross disposable income, fell more sharply than interest earnings,” Draghi said. He also again called for more government spending in Germany, which annoys the Berlin government, because balancing the budget is a national obsession. German Finance Minister Wolfgang Schaeuble – who has has long been critical of the ECB’s low interest rate policy – said that he agreed with Draghi that more economic momentum, investment and structural reforms were needed in Europe.